Greetings from the Association of the U.S. Army, our Army’s association for education and professional development, and a major supporter of the Army’s Soldier for Life efforts. 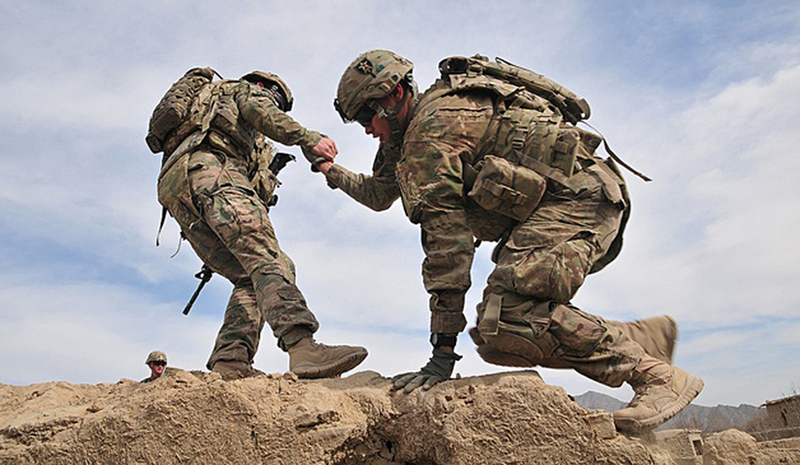 The mission of Army Emergency Relief (AER), unchanged for the last seven decades, is to help relieve financial distress on soldiers and their families, an issue that is directly tied to the readiness of the force. The goal is to ensure 100 percent of the force is educated and informed about AER, and to provide the opportunity to follow in the legacy of the generations of soldiers who have helped their fellow teammates. “Leave No Comrade Behind” is as important on the battlefield as it is at home station. AER is proactively engaging corporations, foundations and the patriotic American public to raise funds “outside the gate” to support soldiers and their families in their time of need. In 2018, AER provided assistance to 36,335 soldiers and their families with $58,661,357 in financial aid. On average, AER annually provides more than $61 million in financial help to more than 40,000 soldiers and their families. In 2018, the board approved additional categories of assistance and enhanced others. Dental care for dependents starts at 50 percent grant/50 percent loan, and the $5,000 cap has been removed. Child car seats are a grant-only category of assistance. Cranial helmets are a grant-only category of assistance. The cap has been raised from $10,000 to $15,000 for dependent spouse funeral expenses. Passport immigration and visa fees are a grant-only category of assistance. Special needs equipment is a grant-only category of assistance. Lastly, as of Jan. 1, 2018, all emergency leave requests for immediate family members starts at a 50 percent grant/50 percent loan. AER operates under the authority of Army Regulation 930-4, with the partnership of the garrison command team and the Army Community Service at 74 locations on Army installations worldwide. Army Chief of Staff Gen. Mark A. Milley reminds us of our three strategic priorities: readiness, the future Army and taking care of soldiers­—and AER is aligned with these goals. Regular Army soldiers, single or married, and their eligible dependents. Army National Guard and Army Reserve soldiers on continuous active duty for more than 30 consecutive days and their eligible family members. Soldiers retired from the regular Army for longevity or physical disability, and their eligible dependents. Army National Guard and Army Reserve soldiers who retired and are receiving Defense Finance and Accounting System-issued retired pay, and their eligible family members. Surviving spouses and orphans of soldiers who died while on active duty or after they retired. How can I get assistance through AER? Company commanders or first sergeants can approve AER loans of up to $2,000 to assist soldiers with their financial needs. Soldiers in the grades of E-1 through E-4 in initial entry training are not eligible for direct access. Soldiers with less than 12 months in service are not eligible for direct access. Regardless of rank, direct access assistance will be limited to two requests (loan or grant) within a 12-month period. Soldiers who exhibit high-risk behaviors for financial problems in accordance with Army Regulation 600-85 are not eligible for direct access. If soldiers fall under any of these conditions, they may still receive AER assistance by going through their company chain of command. Access to AER can also be made through the Air Force, Navy/Marine Corps and Coast Guard military aid societies around the world. Most importantly, if you cannot easily gain access to a military base or one of the military aid societies listed above, you can always get help through American Red Cross Emergency Communication Centers anywhere in the world, anytime. For 24/7 operations, call (877) 272-7337. The start of this year’s AER campaign provides us with the opportunity to educate and inform every member of the Army Team—leaders, supervisors, soldiers and their families—about AER. Now, more than ever, America’s Army needs AUSA, and AUSA needs your membership support. Membership is the volume knob to ensure your voice is amplified many times over and heard throughout the halls of Congress, from sea to shining sea across this country, and throughout every small town and community in between. Sgt. Maj. of the Army Kenneth O. Preston, USA retired, is AUSA’s Vice President for NCO and Soldier Programs and was the 13th Sergeant Major of the Army.